City of Carson Red Ribbon Week is ON! 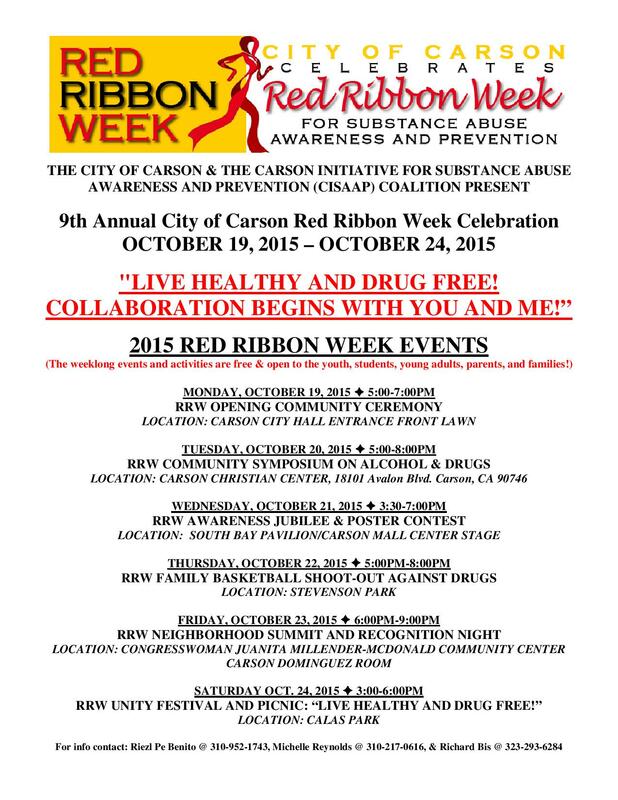 The City of Carson and the Carson Initiative for Substance Abuse Awareness and Prevention (CISAAP) Coalition present the 9th Annual City of Carson Red Ribbon Week Celebration, October 19 – 24th, 2015. The theme “Live Healthy and Drug Free! Collaboration Begins with You & Me!